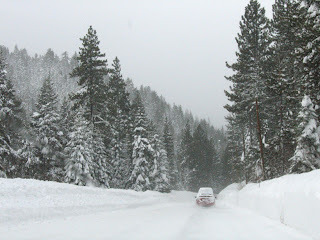 The weekend in Tahoe proved to be quite snowy and enjoyable. I took this as we were leaving so I can remember all the snowy whiteness. Check out the loaf on top of the red Prius in front of us! While my buddies were out braving the slopes, I stayed in our toasty cabin and worked on these little guys. 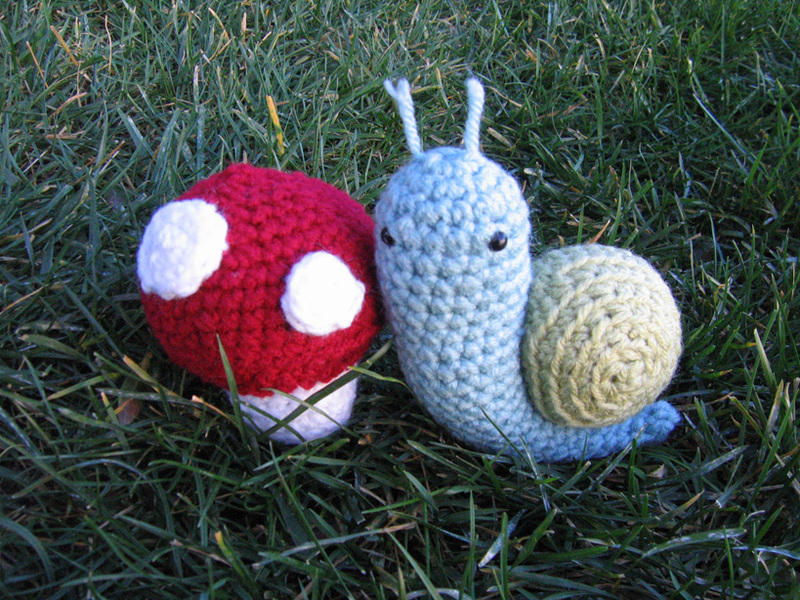 I've long admired amigurumis and finally decided to tackle crochet after spotting this irresistible pattern by Amy Gaines at Bobbin's Nest Studio. It was a pretty beginner-friendly pattern and didn't take too long to finish. There's actually another little snail that goes on top of the mushroom, but I'm okay with it as is. I have a couple sewing projects in mind for this month, and hope to set up an etsy shop too with some paper goods. so cute, especially in the grass :) yay, thanks for all the yummy food! thanks a lot for trying to kill me so early in the morning. good thing I've got a latte today to keep me from going into complete cardiac arrest.